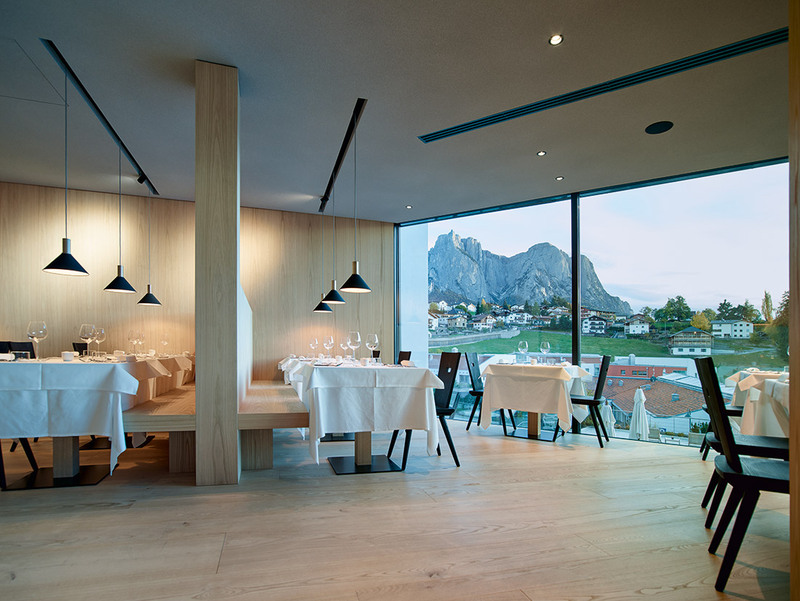 Peter Pichler Architecture won a competition in 2015 to fully reconstruct the existing “Hotel Schgaguler”, located in the heart of the Dolomites, mountains and landscapes protected by the UNESCO. The small village of Castelrotto in Alto Adige / North Italy is known for his folkloric culture and the relationship with its nature and surrounding mountains. 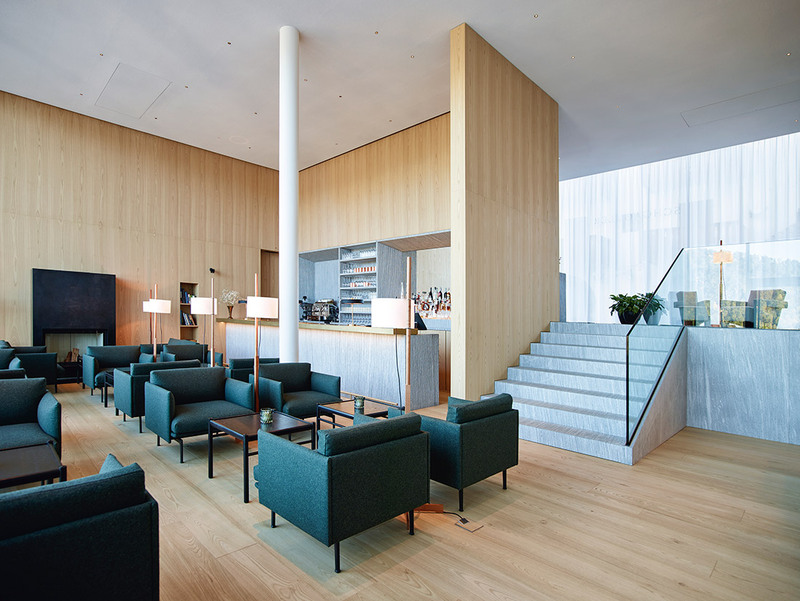 The Schgaguler was built in 1986 and renovated in 2018 by Peter Pichler Architecture. A simple and timeless architectural design is the main protagonist of the charming boutique hotel. 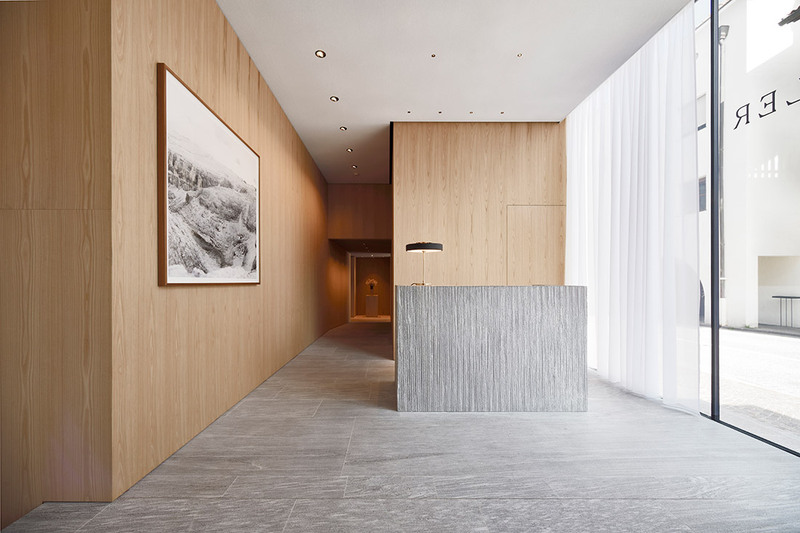 Alpine style with reduced aesthetics creates an authentic sense of well-being. 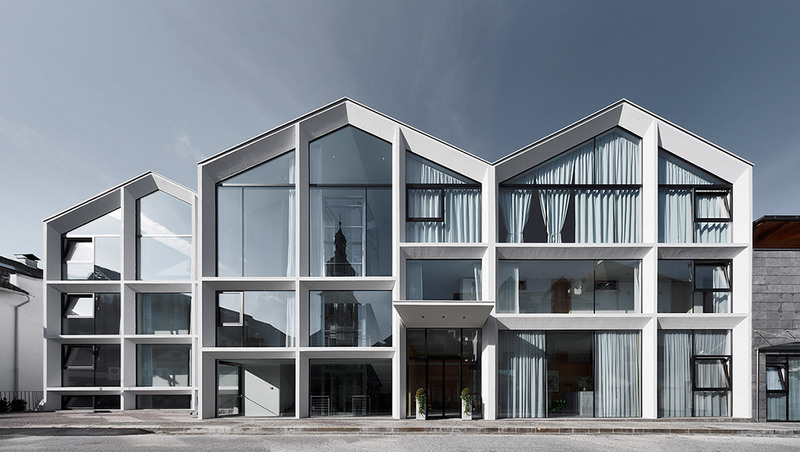 An open and transparent house attracts guests and invites visitors to come in and feel the connection to the picturesque village and its surrounding mountains. The Project consists of three monolithic volumes, following the original structure of the house before reconstruction. 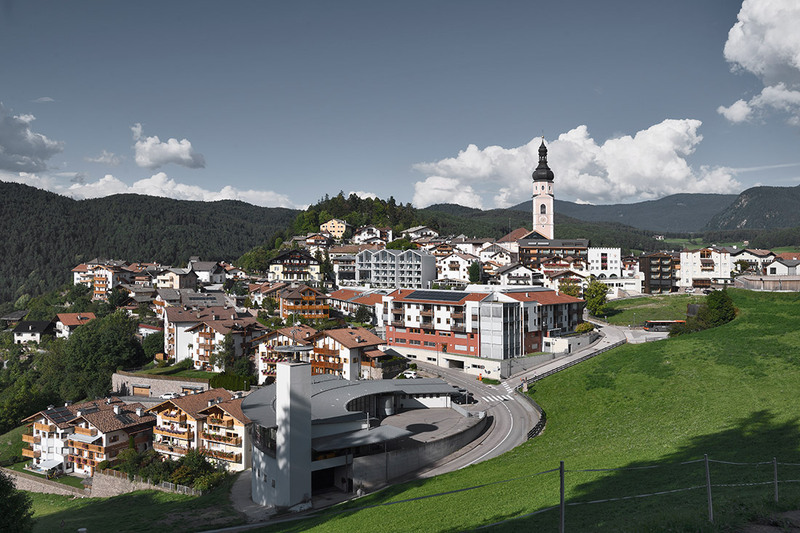 While respecting local context and its surroundings, the strong architectural identity of the Hotel follows a contemporary reinterpretation of the alpine style and plays with vernacular elements such as the typical sloped roof. The expressive exoskeleton facade changes according to orientation and program. 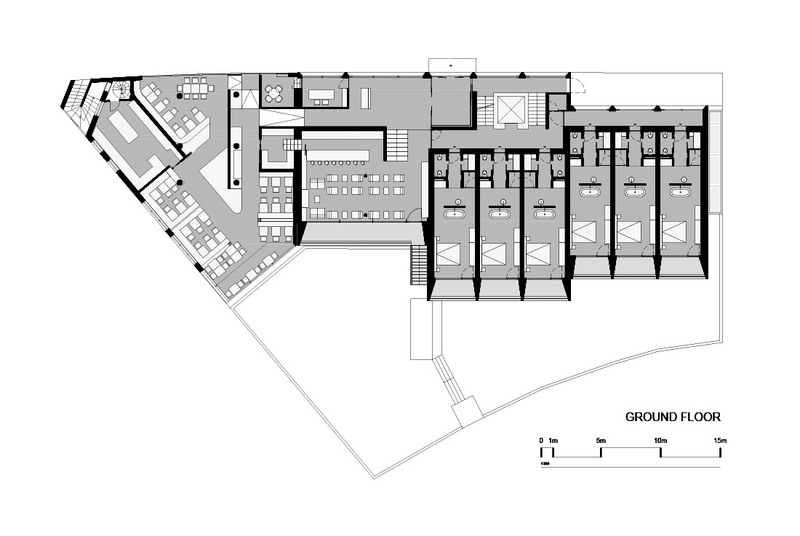 At the north/east facade, with mostly corridors and public spaces, the almost sculptural structure is less depth. At the south facade, the tapered geometry has more depth and creates loggias with natural shading. 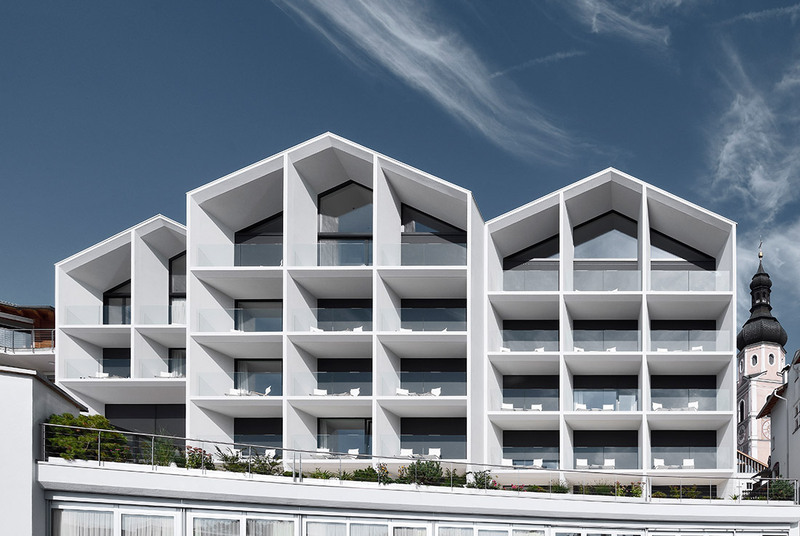 The bright grey colour of the chalk, containing render of the façade, is inspired by the rocks of the surrounding mountains. The rooms and suites are located in the above levels and are characterized by timeless design that evokes a cosy atmosphere. 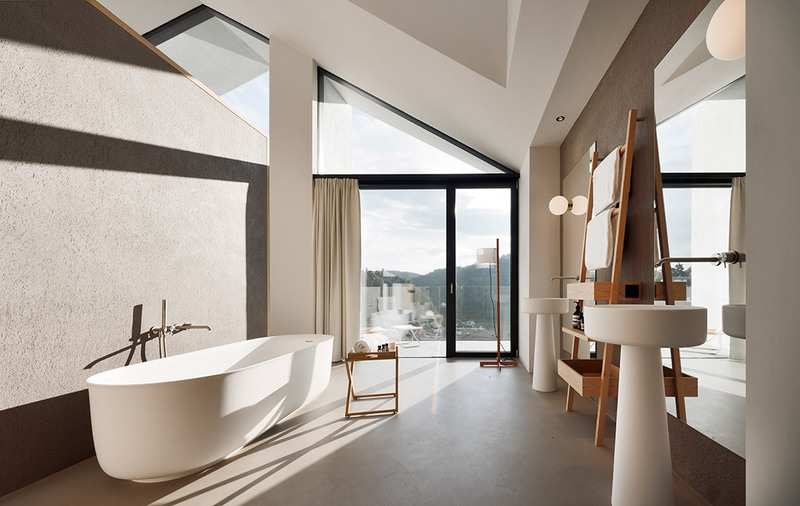 Open bathrooms with freestanding bathtubs invite you taking a soothing bath after a hike or ski tour.